Crushing rose petals in water filled jam jars to make perfume, picking my parents bright red Fuschia flowers hoping to keep them forever as to me they were pirouetting ballerinas, collecting overhanging blooms from neighbours gardens to sell in my imaginary flower shop. My imagination was encouraged by my grandparents who were very keen flower and vegetable growers. 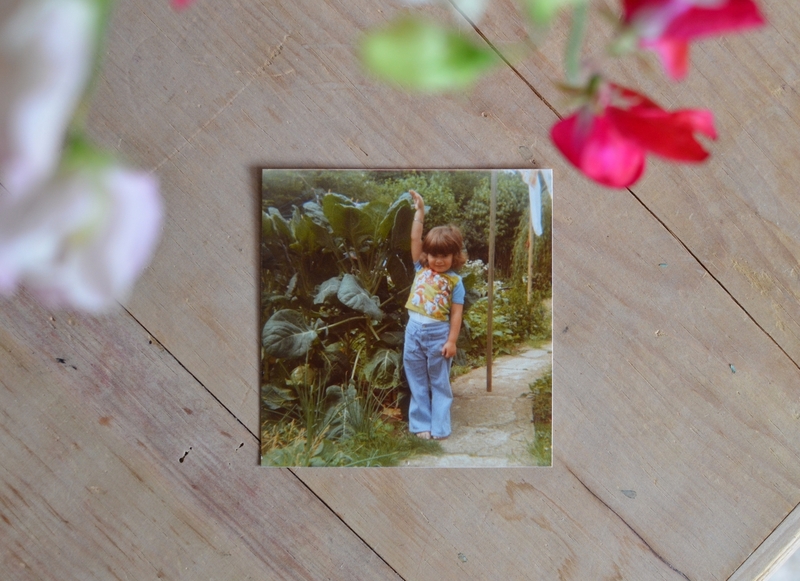 As a little girl we visited my grandparents every chance we could.They worked three adjoining allotments and I was always desperate to visit them and explore – fascinated by the form of the flowers, the scent of tomatoes in the glass house and of course eating the pea wags. My granddad was the president of their local Dahlia Society and grew many, many Dahlias on the allotment. He had a gardening program on BBC Radio and I would listen to him talking away for hours. I was encouraged to run free amongst it all and I can say I was in my element. As I approached the age of leaving school I knew I wanted a career that would give me happiness and floristry was the obvious route. My grandparents bought me my first set of floristry scissors which I still hold dear and tucked away with my study books, coursework and certificates is their “Congratulations, you passed” card. My husband and I have three amazing sons of whom I made my priority – a job that filled my heart with joy. Floristry became my second job creating bouquets, arrangements, hand ties and wedding flowers for friends and family. As the boys grew I went into the corporate world working for one of the leading retailers renowned for their high standards and customer services. Whilst I thoroughly enjoyed my time with them it never allowed me to fulfil my creative whimsical need, so decision time! I hung up my uniform and perhaps it will come as no surprise, I decided to set up my own floristry business. I have created a purpose built workroom, conditioning stems and preparing flowers for all occasions; alternatively I am visiting suppliers or tending to my nest. My camera has become a permanent attachment with me seeing and capturing far more images now than I ever did. I have re-ignited and refreshed my skills by sourcing highly regarded workshops around the UK which have shown me looks and techniques for current wedding trends, natural styled bouquets and “free from floral foam” arrangements in on-trend vintage vessels. Collecting all my experiences together I bring you Albetine – a bespoke floral service from my workshop in the heart of Warwickshire.